This course is aimed at students interested in the area of sports injuries and their treatment. Students will study a range of subjects, with a particular emphasis being placed on anatomy and sports massage. In year 1 students must complete a minimum of 10 days’ work placement in a relevant vocational area. Throughout the course, students will be required to work alongside a variety of sporting organisations and charities as part of their course work. Students have the opportunity to participate in the Leonardo Di Vinci project completing work experience in Germany in Year 2. Successful completion of QQI Level 5 Certificate in Community Health Services and ITEC Level 3 Sports Massage Certificate. 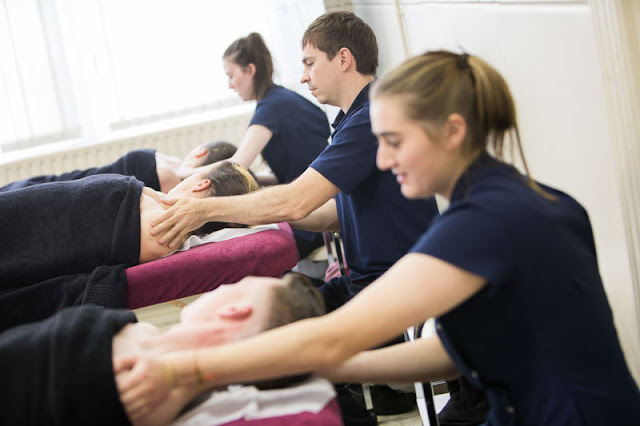 Graduates of this course are eligible to apply to work as physiotherapist assistants in Irish Hospitals, private physiotherapy clinics or sports clubs. At Cavan Institute: Students who successfully complete this course are eligible to apply for the level 6 Sports Therapy/Physiotherapy Studies (Year 2) course, available at Cavan Institute. Elsewhere: Graduates are also eligible to apply through the CAO and/or the Higher Education Links Scheme for entry to year one of a range of higher certificate and degree programmes at Institutes of Technology (please check with the particular Institute regarding local eligibility requirements). Graduates of this course have found work as physiotherapy assistants in Irish hospitals, private sports injury clinics, and sports clubs. They have also found employment in health and fitness centres, on cruise ships and in hotels with gyms/spa/fitness suites. Graduates are eligible to apply through the Higher Education Links Scheme for entry to a range of higher certificate and degree programmes at Institutes of Technology and Universities (please check with the particular institution regarding local eligibility requirements). Graduates of this programme have progressed to study for degrees in occupational therapy, physiotherapy, and physical education.